In the last post, we talked about what constitutes NRA’s political capital. This post is meant to look at how NRA engaging in fights on Capitol Hill both uses and spends that power, using the factors of its capital that we outlined in the previous post. Beacause of the election results, NRA is starting out this new political season with considerably diminished capital. They staked quite a lot of their political reputation on McCain, and when he lost, their reputation was damaged. You can see that in all the media stories that talk about NRA being dead. We might understand that this election wasn’t much about guns, but driving perception is what these media article are about, and perception matters just about as much as reality. Any time NRA engages politically, and sending an alert to its membership that they need to contact their representatives, is engaging politically. When you do this, you are spending political reputation, and political alliances. You are spending reputation, because if you alert, and switchboards don’t get lit up, political actors start wondering whether your membership is credible. You have to make sure the issue is one that will generate widespread concern. You spend political alliances because getting pressure from constituents means something. It is a form of arm twisting. When you ask a politician to do something for you, or you ask your membership to ask politicians to do something for you, you’re asking a favor. Politicians have a lot of interests they have to consider, and if you’re constantly asking for favors, you better be able to deliver a lot of support in return at election time. NRA can deliver more support at election time than most, but it can’t work miracles. Not enough of its members are willing to do much to support politicians who support us other than vote. Ultimately, if you try to spend more political capital than you have, you will lose both credibility and alliances. Politicians who pay attention to you because it’s good politics, which is most of them, might just decide you’re not worth the trouble, essentially daring you to challenge their seat. If they do that, you better be able to hand them their electoral head on a silver platter next election. 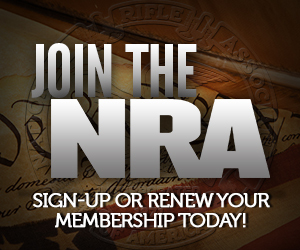 The reason NRA has high political reputation is because they actually can do this to a lot of politicians, because their membership and influence among gun owners to vote a certain way is high. But in many instances, and under many circumstances (competiting interests, again) NRA does not actually have the power to cause a politician to lose his seat. That was the case in my district this past election, where we failed to defeat Patrick Murphy. I can promise you that Patrick Murphy is now less frightened of the gun issue than he was. If a politician thinks you’re bluffing, and calls you on it, that’s highly damaging to your reputation if you can’t defeat him. This is the reason the National Rifle Association has to choose its battle carefully. If it had more members, or more money, it would have enhanced political capital, and could fight more often, which is why NRA is always recruiting members and asking for money. Don’t get me wrong, NRA is a powerful interest organization in D.C., some regard it as the most powerful, but in a country with a lot of competing interests, its power is limited. It does not have the resources to fight everything, everywhere, regardless of what the chances of a positive outcome are. That is why NRA won’t fight every battle. Some argue that fighting itself is made of win, but it’s not. Fighting and losing has severe consequences in politics, and should not be undertaken lightly. Sometimes you will have to. But the reason NRA probably won’t go after Holder is because there’s no path forward that doesn’t involve an anti-gun Attorney General, and defeating Holder will consume resources and capital that would be best used fighting new gun control. I began to write a comment to your first post about this but after three paragraphs I deleted it and wrote my own post this morning. True, an Obama AG will be anti-gun. But if Holder were somehow not confirmed, and it was known in part to be because of his anti-gun positions, might not Obama’s next nominee be at least less stridently anti-gun, an ever so slightly lesser of two evils? Yeah, but that’s your absolute best case scenario…. someone who is a bit less anti-gun. But that’s not going to happen. One good thing about politics, as opposed to war, is that you really do have a pretty good idea ahead of time whether you’re going to win or lose. There are Republicans who are voting for Holder. There’s not even a filibuster possibility. Holder is going to get confirmed. There will a lot of Republican votes against him, but it won’t be enough to matter. You got to pick your battles, and ask yourself: “Is this the hill I really want to die on?